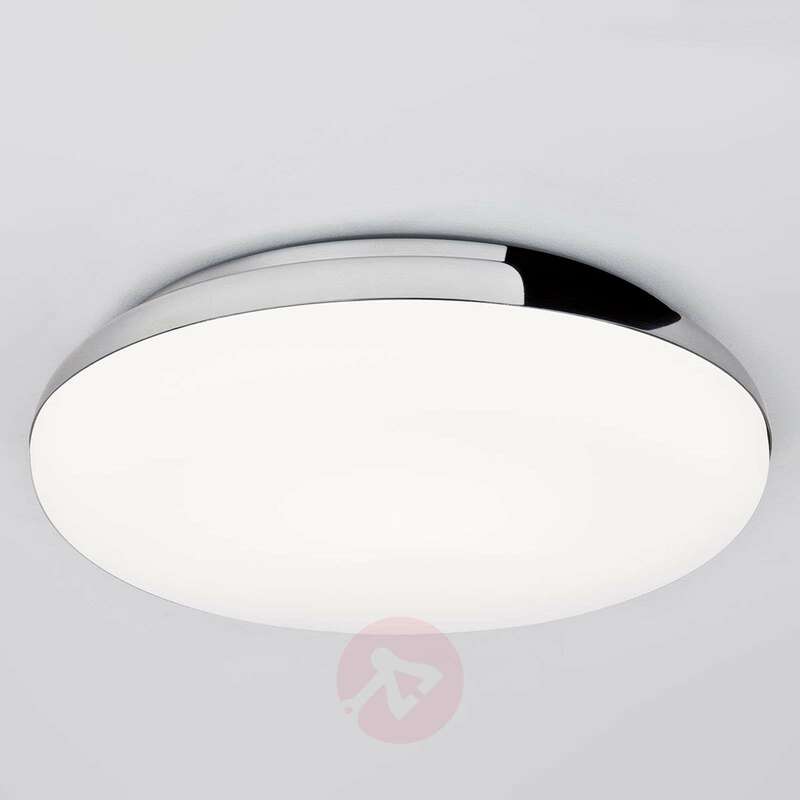 This round ceiling light is made of polished chrome and glass. 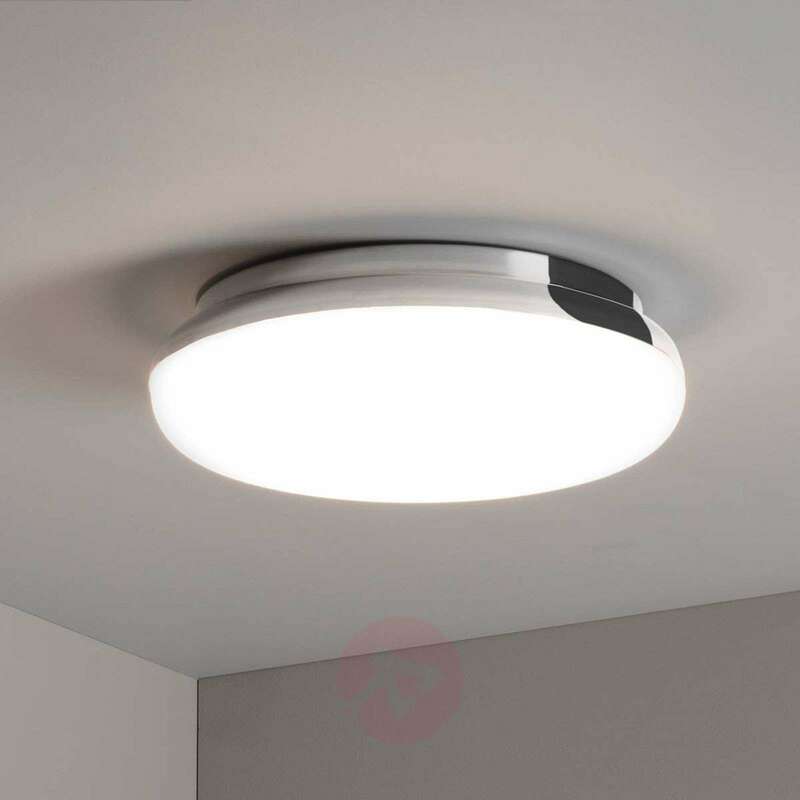 It has an IP code of IP44 and provides bright, glare-free light in the bathroom or hallway thanks to its opal white glass cover. 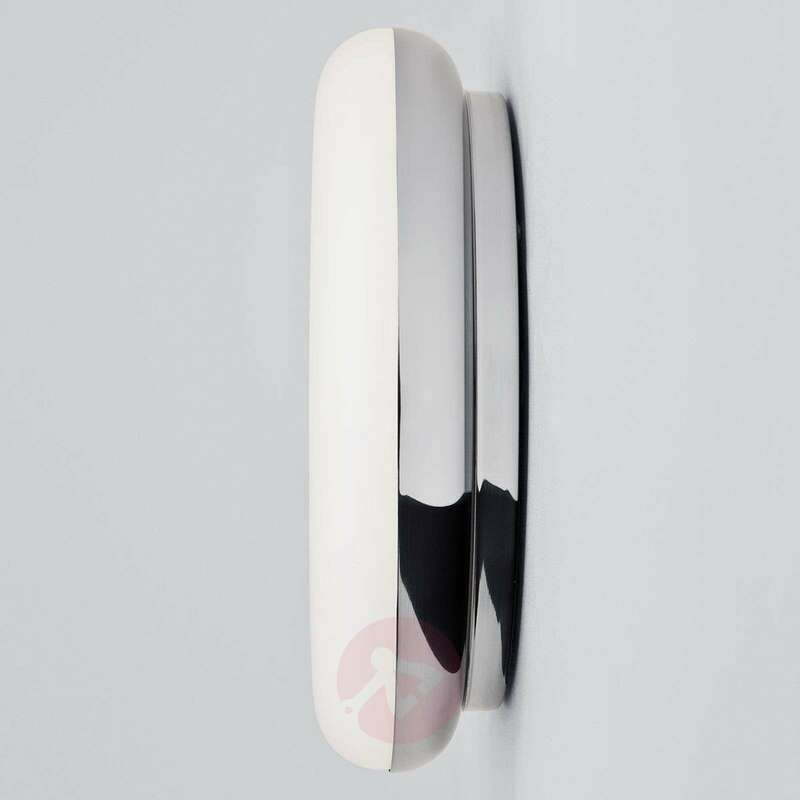 The timeless design suits many interiors.